TOMORROW – We’re Running To Rockefeller Center! Attention: Citizens of Riseville! 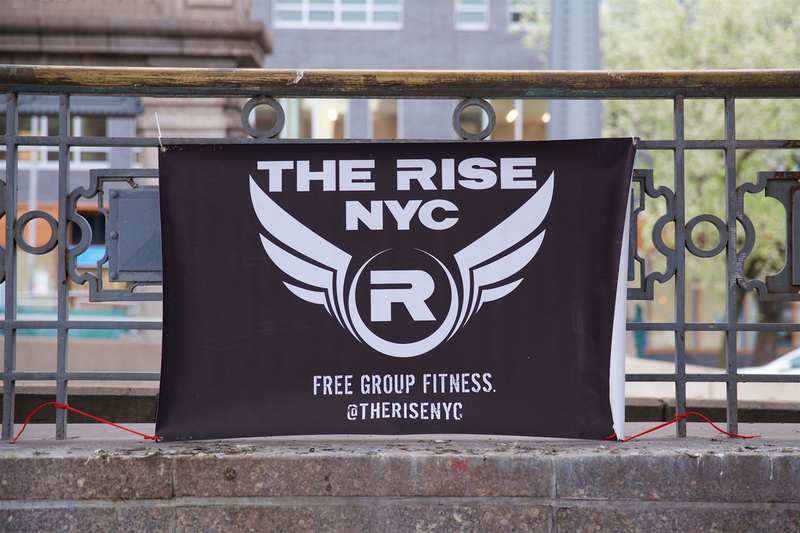 Tomorrow is the fifth Friday of the month – a special occasion that we often celebrate with a special workout. But it’s also the last Friday of the year, an even more special occasion! So instead of doing our usual run up and down the Williamsburg Bridge, we’re leaving from the Lower East Side on a fun run to Rockefeller Center to see the tree! Yes, we know Christmas has passed already. But the tree is up until January 7th, and we’re a bunch of Last Minute Larrys. Even if you’ve already seen the tree, you haven’t seen it with The Rise! We’ll run west on Delancey until we hit Bowery, where we make a right. Bowery becomes Cooper Square, which becomes 4th Avenue, which becomes Union Square East. We’ll turn left at 17th Street. Follow 17th Street until hitting Broadway, where we make a right. Broadway crosses paths with 5th Ave on the west side of Madison Square Park, just north of 24th St. We’ll veer right onto 5th Ave and follow it all the way up to Rockefeller Center. We’ll be leaving promptly at 6:30 AM from the Manhattan side of the Williamsburg Bridge. But if you’re late and would like to follow the route on your own, we won’t stop you! You can shoot us an email if you’d like an update on our post-run coffee/classy conversation location! We’re going to try to stay together as a group, so we’ll likely be wrapping up our run 10-15 minutes after 7. Keep that in mind as you plan out your morning! We will have a (small) bag check at the Williamsburg Bridge, but we highly recommend that you pack light. Don’t bring more than you need! A running backpack will come in handy.